I have a root concept named "Page". It extends "AbstractRoot". Now I'm trying to test this feature. So I created a solution named "tests" and created a model in it, named "tests@tests". I imported my language, "baseLanguage.unitTest", and "mps.lang.test". But this test fails, cuz there's no error. It seems that two pages created in the test are not in the same model. Is it possible to test cross-node rules? and it passes. So all imports seems to be fine. I guess this is because your page nodes are nested within a test case node, so they are not really roots when in tests, so the condition root.parent.isNull is never true. I think I could rewrite the rule so it would look for all nodes, instead of only roots, and then it would explicitly filter out the nodes that shouldn't be checked (for example, I have a "story" concept that may be both a root and a page child, but it should be checked only if it's a root). 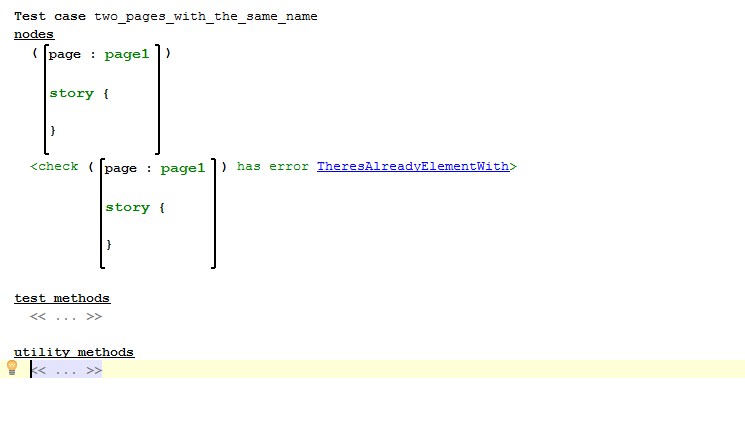 But I fear it will overcomplicate with time, or I'll just forgot to add some new "exception" to the rule. Is there currently any way to mark tested nodes to be treated as roots? Great thanks for the answers! So now it checks any "my root" that isn't part of another "my root". 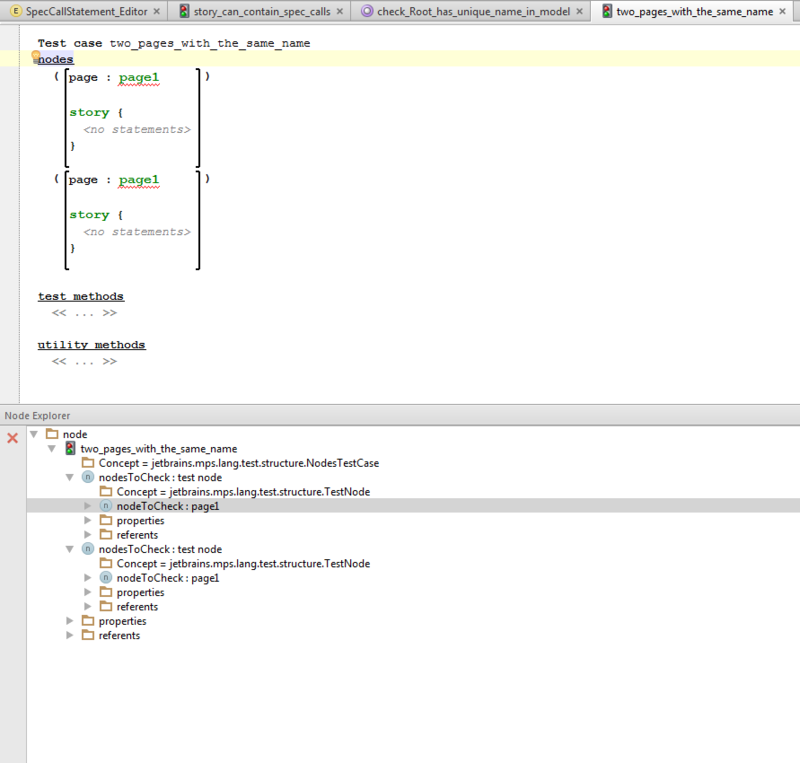 Only need to remember now that any concept that will be compiled as separate java class should extend my "AbstractRoot". I also had to add filter for iterated nodes in the model.